The most powerful Vespa yet, the GTS300, has arrived in the European market. The scooter made its debut at the EICMA motorcycle show in Milan. The GTS 300 High-Performance Engine (HPE) gets the most powerful engine on a Vespa scooter. The engine on the Vespa GTS 300 HPE makes 12 per cent more power and 18 per cent more torque. The 2019 GTS 300 employs a 278cc, single-cylinder high-performance engine (HPE) that delivers 23.8 bhp (a 12% increase) of max power at 8,250 rpm and peak torque of 26Nm (an 18% improvement) at 5,250 rpm, making it the most high-performance engine ever mounted on a Vespa. The added performance is achieved with the use of new pistons and cylinder head designs. The standard GTS 300 makes 22 hp of power and 22.2 Nm of torque. Despite the added performance, the engine is Euro-V compliant. This motor is paired with a CVT transmission. The power comes with the safety net of traction control and ABS as standard equipment. The double-disc braking system performs anchoring tasks. 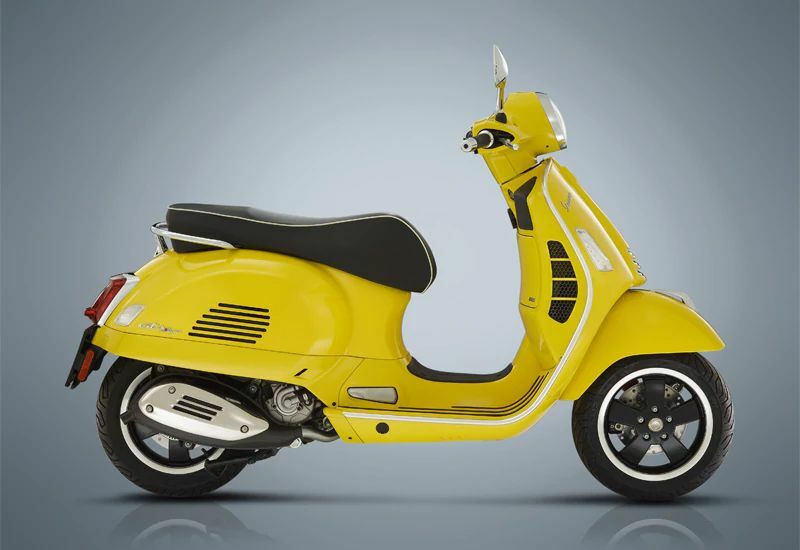 While the GTS 300 is the most potent Vespa yet, it still carries the retro styling. 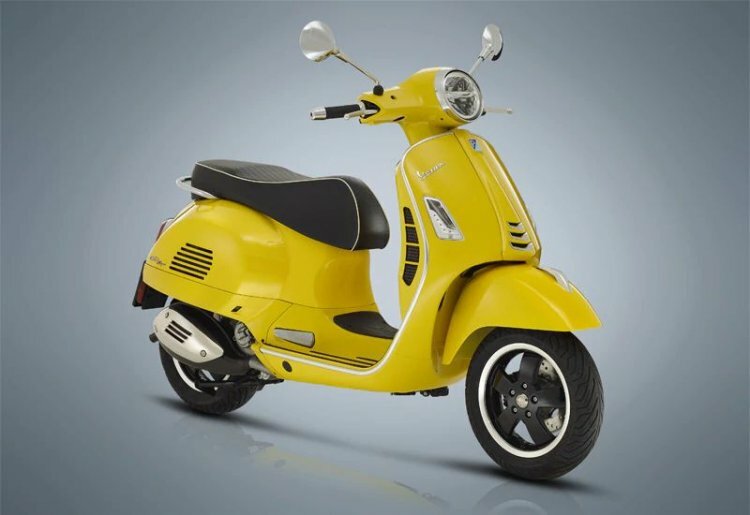 The style evolution of Vespa GTS continues to be shaped by its heritage. Thus, you would see chrome highlights across the body. Chrome treated highlights include headlight mask, garnish on the front fender, rear view mirror housing, pillion grab rail, exhaust heat shield and taillight surrounds among others. The front section features a redesigned shield. The shape of the handlebar, the chrome crest of the front mudguard, the rear view mirrors and the grilles to the sides of the shield, characterised by a brand-new honeycomb motif. Retro visuals are complemented by modern hardware. The headlight and the tail lamp, for example, are LED units. The cockpit features a VESPA MIA connectivity system that uses Bluetooth enabled colour TFT display for smartphone integration while an application can be used to find the scooter. The TFT display will show notifications about incoming calls and messages in the centre of the screen. To ensure the user's smartphone and other electronic devices do not run out of juice, the Vespa GTS 300 comes with a USB charger. The under seat storage is large enough to accommodate two open-face helmets while the saddle cover features an anti-slip fabric. The Vespa GTS 300 HPE features a VESPA MIA connectivity system that uses Bluetooth enabled colour TFT display for smartphone integration to control calls and music. Buyers can select from five variants of the Vespa GTS with HPE – the GTS, GTS Touring, GTS Super, GTS SuperSport and the GTS SuperTech. The scooter is unlikely to reach the Indian market anytime soon.